One of our core beliefs at Room & Board is that we should all do our part to better the communities where we live and work. Through our Community Partnership Program, our staff members have the opportunity to partner with non-profit community organizations. 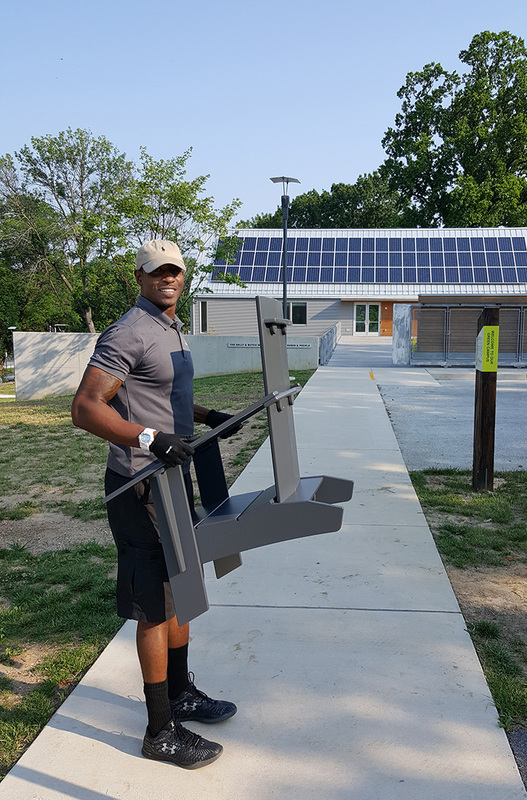 Today we’re sharing more about our Washington, D.C. team’s partnership with Parks & People Foundation. Founded in 1984, Parks & People Foundation (PPF) set out to uplift the City of Baltimore through its parks, gardens, playing fields and landscaped boulevards. The Washington, D.C. Delivery Center has been partnering with PPF since 2012. We share a belief that city parks and green spaces are essential for creating safer, healthier and more connected communities. Our staff members’ volunteer opportunities have been as varied as PPF’s ambitious programs. PPF’s middle school sports program provides recreational opportunities to almost 30,000 young people in the city of Baltimore. “One of our Delivery Associates volunteered for the after-school soccer program. It focuses on physical literacy, character development and environmental education. It was a great experience. We have a lot of sports fans in the Delivery Center. More of us are interested in helping out in this way,” said Returns Associate David Blanchette. 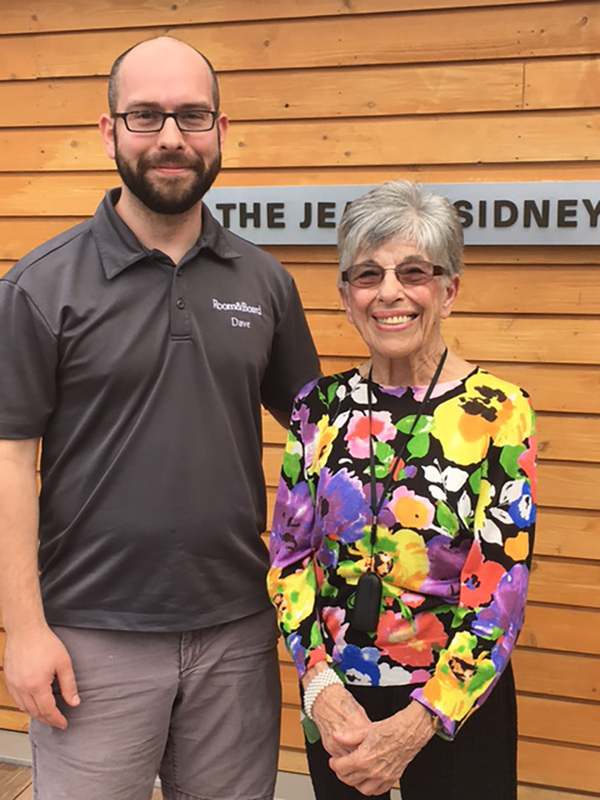 PPF recently opened the Jean and Sidney Silber Center, an ecologically and sustainably built learning center that is used for PPF’s Branches program. It is a year-round environmental internship and employment program for high school students. 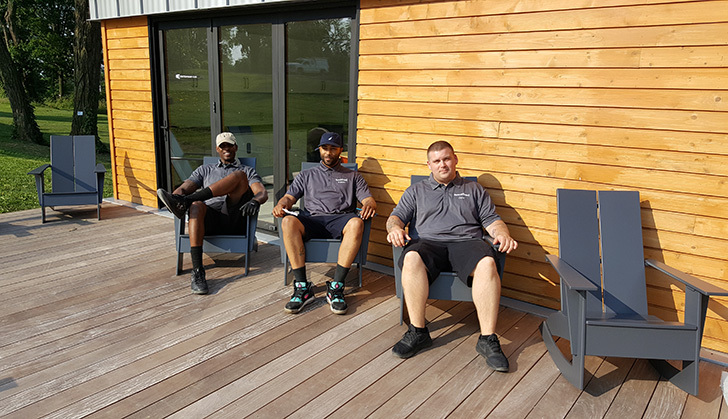 Room & Board donated outdoor Emmet Lounge Chairs, made from 100 percent recycled high-density plastic, so staff and visitors to the learning center can relax and socialize. “The chairs are a perfect fit for the strikingly modern learning center since they are durable, waterproof and sustainably made. We were excited to make that delivery. We believe in PPF’s mission and can see that they are affecting real change in our local communities,” said David. Room & Board is also partnering with PPF, the U.S. Forest Service, Brick + Board and Details Deconstruction on the Urban Wood Project – Baltimore, with the goal of reusing the abundance of urban wood found in abandoned homes. The program focuses on deconstructing rather than demolishing homes. In turn, it is creating jobs, providing green materials and reclaimed products and creating spaces for future parks. 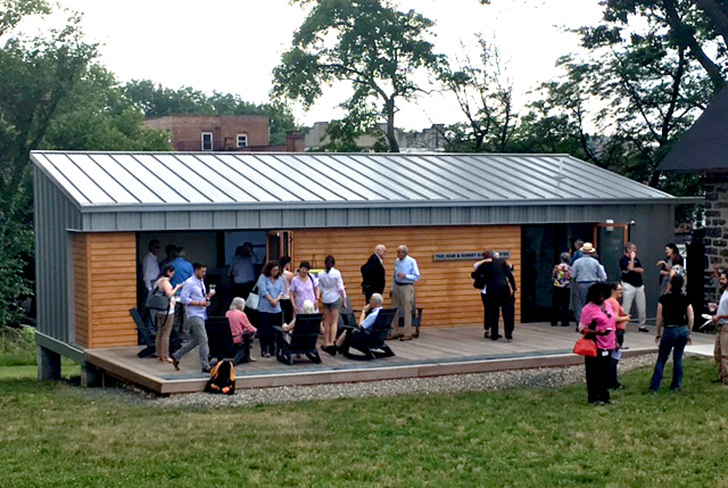 The Urban Wood Project – Baltimore is a pilot project with potential for use in many other cities. “Room & Board will be a significant user of the salvaged materials, starting with our McKean and Etting storage collections. This project is ambitious and forward-thinking. We are excited to do what we can to help it grow,” said Merchandise Manager Michael Brotman.